Gary Chapman… What an author! Today I will be reviewing the Top 5 Gary Chapman Books. For those of you who aren’t familiar with Gary Chapman, he is the renowned author of “The 5 Love Languages”. The reason I decided to review these books is that our relationships greatly impact our financial success in life. I hope these books help you in your relationships, so that your finances and money in general will become a source of joy for you… and not a topic of argument and conflict with your family. As a single guy myself, I have no doubt that the concepts in these books will become more self-evident in their worth, when I get into a relationship. What is most profound however, is that anyone who has read any of these books will tell you that the principles talked about in these books can be applied regardless of one’s relationship status. 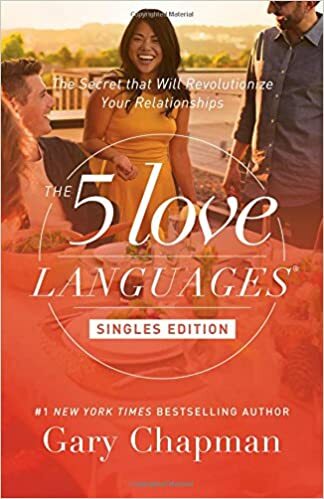 Primarily focused on helping couples, the 5 Love Languages series shows the ways that humans express love towards each other, regardless of gender. 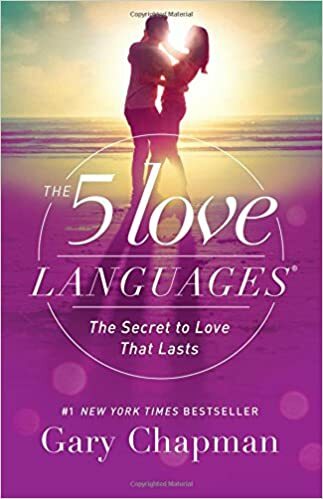 The fact that these love languages can be used by everyone, and that each person has love languages that they prefer, will no doubt open your perspective to how so many relationships fall apart, unnecessarily. My parents have read the first and best-selling book that Gary released, and they will tell you how it improved their relationship and has helped them understand each other. With that being said, I hope you enjoy my list of the Top 5 Gary Chapman Books. Gary presents a theological and applicable way to improving one’s communication and love towards one’s spouse. Gary presents his ideas in a very understanding way, not showing favoritism towards a specific love language. Indeed, he recognizes each as a valid way of expressing affection. As made apparent in the title, there are several ways we show love. Not everyone does this the same way. The miscommunication and lack of appreciation between couples is rampant today. Books like this are essential to healthy relationships. Please don’t take my word for it. This book is so cheap considering it’s educational worth that it’s true value can be overlooked. By far the most well-known book by Gary, I highly recommend this one! 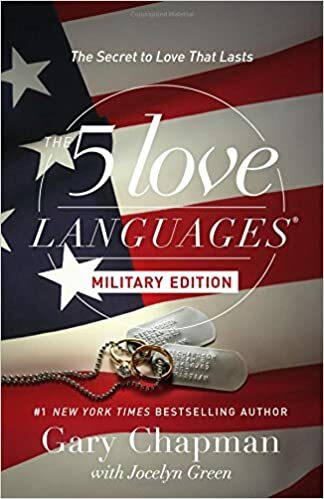 An adaption upon the original, this book was made specifically for couples in a military relationship to help them coupe with the difficulties that go along with it. Amazon rates this book as the second best-selling book by Gary and it is easy to see why. I can see this book being a good read for everyone. Not just to learn communication skills, but a better way to understand our soldiers and veterans. The concept of trauma from battle is an obscure one at best for those who have never seen combat firsthand. Being that I am not in the military at present, nor in a relationship, it is not as applicable to me personally, but those who have read this wonderful book say that it has helped them greatly. Extremely well rated, very affordable price like that of it’s predecessor, highly recommended if this is applicable to you. As I mentioned previously, this is probably the next book I will be buying for several reasons. The most notable being its adaption for singles, but it’s price is fantastic as well. Seriously under $7 for a book that many have claimed eye-opening?! It’s amazing the times we live in, when we can buy an incredible work of literature for under $10 dollars. This will no doubt be a better choice than Gary’s first book if you are single or dating. Heck, it would probably be an informative book even if you are married, knowing the author’s versatile incite. Update: I have a Kindle Reader and got this book for it so I don’t have to wait for shipping. This book is a great read so far! The idea that we can not only learn about our children, but that we can learn how they express love at a young age is astounding to me. I have 4 other siblings currently, several of them young children. Knowing that this book exists and that it was written by such a gifted author is truly inspiring. Needless to say, I want this book and will no doubt be picking it up. Communication with individuals that have not reached the maturity of older, educated intellectuals, in my opinion, is very important. I think this is a great book and a perfect way to understand those growing young people who are looked down on so often. This one hits a little too close to home for me. I was a teenager not too long ago and knowing that I may have teenagers down the road myself really draws me to this book. My dad has been a major influence in my life. A very positive one I would say, and knowing how much his help and love meant to me during my teenage years gives me a sense of responsibility to read books like this. 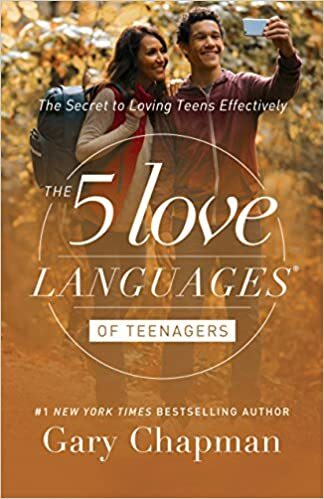 That’s not to say that there aren’t other fantastic books about bringing up loved and mature children, but to say that a book centered on loving teenagers written by Gary Chapman would be a “good read” would be an understatement, if not a gross error. The reviews on this book are great and the price is incredible. I will no doubt be getting this down the road. These books are incredible! I rarely review items that rank 4.8/5 stars and yet four out of five of these books have this rating. The truth is, Gary Chapman is a genius and it shines through his books which have helped people improve their relationships and financial wellness around the world! I hope my reviews have helped you in some way, and I truly hope you take action and buy at least one of these books today. If not to support my blog, do it for yourself and your family. You will not be disappointed by these books! These books are life changers as is most every book I review, and I believe these books in particular should receive special attention for their incredible information. If you have any questions feel free to email me or comment below and I will get back to you asap! ← Being Determined… Does It Mean Be Committed? Good post! While I am not too familiar with these books, I think they will definitely be worth checking out, considering the fact that most relationships do not last nowadays. It has definitely been a while since I have last been in any relationship, but while I am not the type to go out of my way for one, I will be sure to check out the first one, whenever I decide to get into another relationship. As for the singles edition, I will definitely be sure to look into that as one of my next audio books to listen to, since I spent most of my life being single, haha. I am kind of curious to know what exactly it talks about though. Does it talk about getting and retaining friendships in general, or does it talk more about attracting others to you? Actually, it does both! 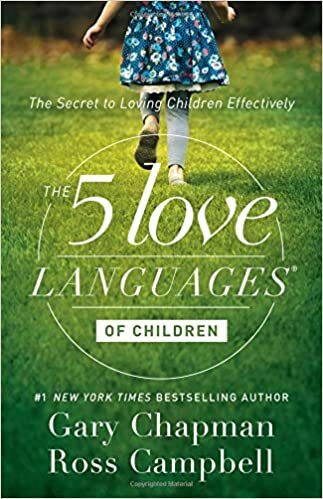 By revealing how there are 5 main ways of showing affection (love languages), we can ascertain how we show affection, and how we like affection shown to us. This is especially helpful to understand other people, like one’s spouse. I just bought the singles edition myself and will be reading it shortly. I’ll keep you posted! Enjoyed your review of the Top 5 Gary Chapman books and the 5 love languages in general. I’ve never heard of these books and now have a pretty good idea of them thanks to your article. It’s kind of interesting I’ve never heard of them, especially since my wife has managed book stores for 20 years and has an entire room in our house stocked piled with books! I think the Secret to Love that Lasts is the most relevant in my case. I’m going to give it a long look and will let you know how it turns out. Thanks again for the great reviews! Thanks for the comment, Mat! I think you will find it to be an incredible source of information! What is truly profound about these books is how it shows us the simple things in our relationships. The small gestures making up a strong relationship. Definitely check out the first one as a base for the others if you aren’t looking for one in particular! Keep me posted on how you liked the book!